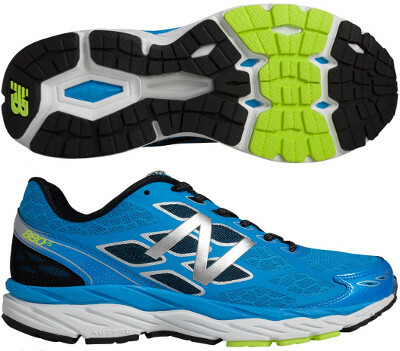 New Balance 880 v5 are neutral cushioned running shoes. The New Balance 880 v5 is ready to provide a lot of cushioning to support even heavy runners. The 880 v5 also features torsional stability with asymmetric heel counter for lower lateral support and the redesigned T-BEAM shank through the midfoot, ideal to keep foot motion in place when fatigue shows up in long journeys. Most important change from its predecessor 880 v4 takes place in the upper where welded overlays (FantomFit) are strategically placed over breathable air mesh to provide a more secure, better fit. Outsole has been redesigned as well looking for more flexibility with softer rubber in the forefoot area to increase cushioning. Midsole is composed of 2 differents foams: durable ABZORB® cushioning closest to the ground and plush ACTEVA® LITE against the foot. Midsole's wall has changed its geometry for better shock absorption and smoother transition. With heel strikers in mind, drop between heel and forefoot keeps around 12 mm.